It's been just over 30 years since Indigo Girls released their Grammy-winning eponymous album — an album released when New York singer and songwriter Lucy Wainwright Roche was barely eight years old. Fast forward three decades — and a whole lot of life experience —and some of Roche's most joyful moments have been on tour with Amy Ray and Emily Saliers, her longtime inspirations, over the last few years. In fact, Roche opened most recently for the duo in mid-March as they criss-crossed New England and upstate New York. Saliers also plays guitar on Roche's stunning single "Soft Line," found on her romantically harrowing sixth album, 2018's Little Beast. 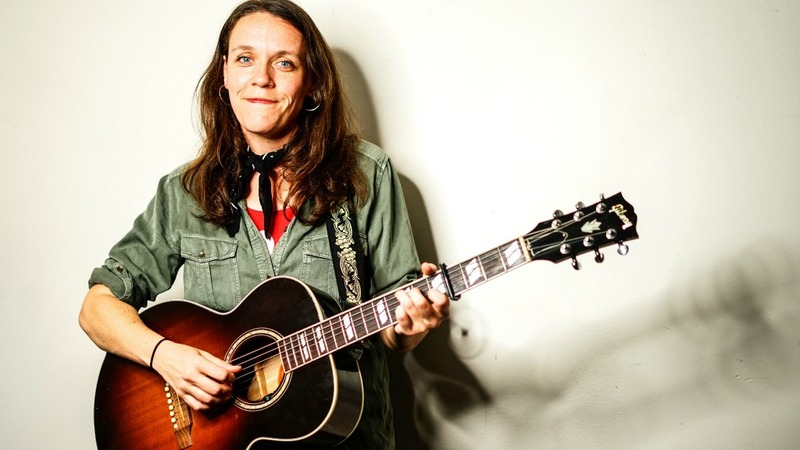 Frequent Indigo Girls producer Jordan Brooke Hamlin co-produced the album with Roche as she recorded it in fits and starts, traveling between Nashville, her homebase of Brooklyn, and the road (lately she's also been touring with one or both of her parents, Suzzy Roche and Loudon Wainwright III). Roche's delicate vocals, warily skating the cracked ice of songs like "Heroin," belie the brute rawness and volatility of Little Beast: it's the acme of Roche's recording career thus far. It's little wonder why she loves Indigo Girls' music as much as she does — and Roche confessed to some nerves choosing "Five Essential Indigo Girls Songs" written by two dear friends and musicians who've been as influential in her life as her family. Oh my, the tyranny of the five-song limit. This was a nearly impossible assignment and one that could be endlessly explored. That being said, here it goes: Amy Ray and Emily Saliers are distinct writers, musicians, and people who, over the last 30 years, have wound their sensibilities together to create a third, and unmistakably unique entity that is the Indigo Girls. One of the things that's particularly notable about the work is their ability to complement and expand on each other's songs without stepping on their essential "them-ness." It's a simultaneous interaction and divergence, a kind of togetherness that supports and heralds the individual, and hey, who doesn't need more of that in their lives!? How does one write fiercely about feelings of defensiveness, alienation — even anger — and still remain open hearted toward the "other" person in the situation? Check it out. She does it here in this song. Amy is able to talk about the desperate separateness that plagues us and, at the same time, acknowledges that we're all in need of being seen with empathy. Emily's parts on this song are incredibly compelling and sweep you up into the track. The breaks between lyrics are largely defined by her signature intricate guitar melodies which are intense, gorgeous, and strong. Give this one a listen on some good headphones. The whole track fits together like a complex puzzle. I love this mysterious song because it is both personal and universal. It's simple and sparse, but braids together the powerful, complicated forces of faith and interpersonal connection that guide us through the impossibility of life. I am not often a big fan of bridges in songs, but this song has a bridge that I love. It winds its way around itself, just like the way our minds wander through thoughts. Amy's vocal parts on this track are careful, minimal, and perfectly understanding. They support the telling of the story without taking away from the solitary nature of the song, which ties back into the gratitude that the song expresses for the help we get along the way. I didn't discover this song until about 20 years after it was released but it has become one of my favorite Indigo Girls songs. Amy has a unique gift for writing love songs and this one is no exception. When I hear "Devotion," I believe Amy completely. It is urgent and driving and feels like it is a song that needed to exist. "Devotion" looks both forward and backward, and it speaks to how our pasts are vital to who we are — and how those roots can be suddenly upended by loving someone in the present. Emily's vocal parts fit together perfectly with Amy's in the choruses in an unexpected, complex way. Kills me! Emily is an incredible writer and she can tackle things in her work that are enormous and daunting— and she does it with expert grace. Here's an example of another Indigo Girls song that is both deeply personal while maintaining an empathetic awareness that everyone struggles with similar issues. This theme runs through much of Emily and Amy's writing, and perhaps speaks to why their audience is so devoted to them. "The Wood Song" also showcases their vocal arrangements: the counterpoint parts link together as if they could not have existed in another way. Listening to this track makes me curious to ask "chicken and egg" questions: what parts or words came first and how in the hell did they build this vocal arrangement? Between the lyrics and the arrangement I find myself drawn to "The Wood Song" over and over again. Upon each listening, I find something new. But honestly, that can be said of most Indigo Girls songs. I'm going to bend the five-song rule here and split this slot between two songs. It's hard to talk about what's essential about the Indigo Girls without touching on the political content in their work. To write effectively about topical issues is, to say the least, difficult, and Saliers and Ray have both found a way to do it that works for them and their audience. Both of these songs examine the how we struggle with the rights and wrongs of our singular lives and how that spins out into the world at large. If you have a chance to see these two songs played live, you might be surprised to feel that joy that can be found at the intersection of personal and political frustration. Maybe finding some joy is what it takes to keep on pushing toward what you believe in in these times. Catch up to all of FUV's Five Essential Songs and Albums here.